The new Wallpro™ Supa Mixer really packs a punch. 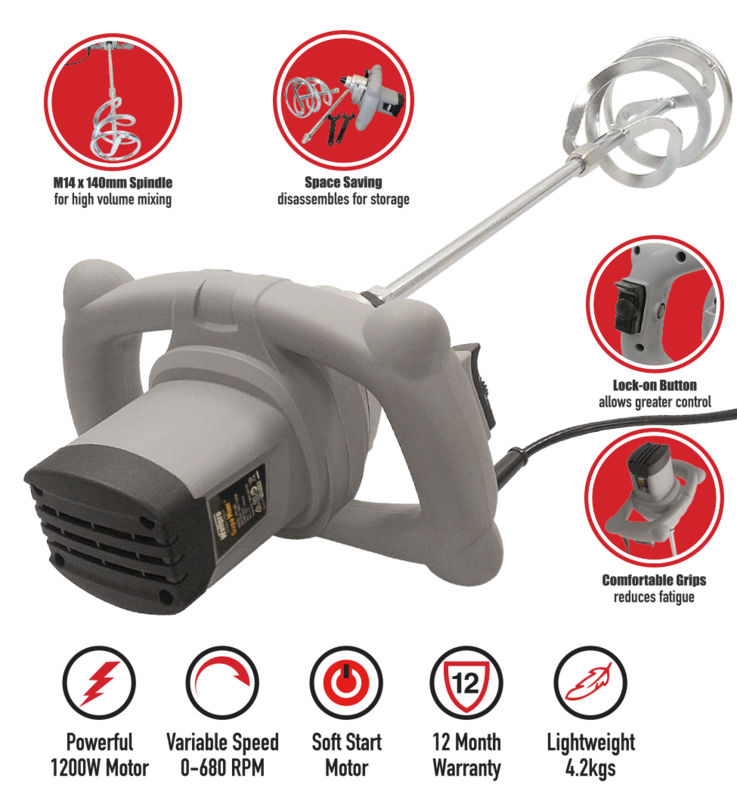 The economical mixer has a powerful 1200W motor and variable speed control. The lock button and comfortable grips allow for greater control for mixing your compounds. A huge M14 x 140mm mixing spindle is excellent for high volume mixing. The spindle is also easy to disassemble allowing for extra space savings. Find out more here and to pick up your Supa Mixer, search for your local distributor here. What’s next for Australia’s favourite range of access products? Stay tuned to our Facebook page and Instagram to be the first to find out.